The Tribune spent months investigating how often staff at 255 Chicago-area retail and independent pharmacies advised patients about the potential for serious drug interactions. The report found that problematic interactions were noted to the patients or their physicians only 48 percent of the time. John Horn of the UW School of Pharmacy is a recognized international authority in the field of drug-drug interactions. 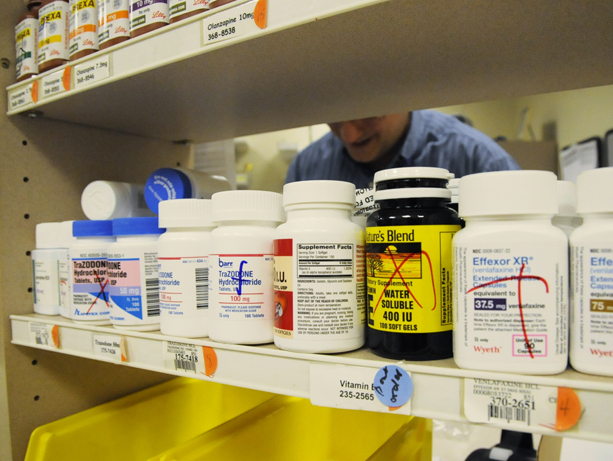 The Tribune’s report has been shared with the pharmacies and all are taking steps to improve the communication of possible drug interactions. It is generally recognized that the high volume of alerts for all drug interactions, regardless of severity, causes pharmacists and other medication providers to become "alert fatigued" and to miss critical warnings. Horn has worked with U.S. organizations to customize interaction alerts so as to avoid irrelevant alerts. In almost every state, pharmacists are compensated for dispensing medications, not for the unique medication expertise that they bring to the healthcare team. With the priority on dispensing medications rather than patient consultations, pharmacies focus on volume to stay financially sound. In one case, the investigation team found upward of 600 prescriptions a day filled by two pharmacists working 10-hour shifts — or one prescription every two minutes. Even with automatic alert systems at work, such a pace makes it impossible for pharmacists to research a patient’s health records, contact physicians, and take other steps to improve safety. The Tribune's findings were likely affected somewhat by the fact that all the prescriptions in the study were paid for with cash. This circumvented another systematized protection in which insurance plans deny payment if a patient tries to fill a prescription that could cause a harmful drug interaction, said Sean D. Sullivan, dean of the UW School of Pharmacy. The majority of prescriptions involve medical insurance, so the cash purchases took on a more significant role in this study than they typically would have, he said. Nevertheless, he added, pharmacies still must to establish processes to confirm drugs are safe to dispense, especially if a patient is not insured. As a result of decades of advocacy and education by faculty from the UW School of Pharmacy, Washington state was first in the nation to compensate pharmacists for providing care and expertise, not just for dispensing medications. The change, which began in 2016, is taking hold in healthcare systems and will begin in community pharmacies in 2017.